Hold space for a slow flowing Vinyasa class in partnership with Kirsten Hougland and Live music offered by Jess Morse. We will end with a series of restorative postures. 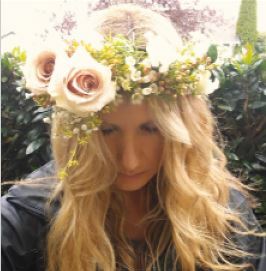 I will guide you through your unique creations of spring flower crowns. Ready your crowns before the opening ceremony ..
We are so excited to have Gina with us at Samsarafest 2019! Check back for the spring festival schedule.